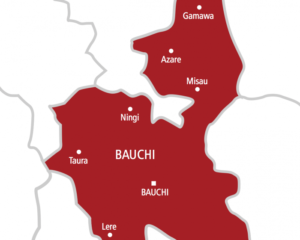 An expert in economics, Dr Abdulmajid Jamal Abubakar has said that the recent discovery of oil in Alkaleri local government area of Bauchi State will boost the economy of not only the state but the country as a whole thereby leading to employment generation for the teaming unemployed youths. Dr Abdulmajid who is the Dean, School of General Studies at the Abubakar Tatari Ali Polytechnic Bauchi said, “well, this is very very clear to everybody because oil is one of the natural resources that Nigeria is proud of but at least we can look at it from two major angles, employment generation and increase in income”. He added that, “there are many factories, ‎many processing, many ministries, many industries that will come in respect to the oil activities and will employ people from those areas and beyond. Provided you are a Nigerian you will get employment there”. According to Dr Abdulmajid, “there will be improvement in employment generation because it is only when there is employment that those who get income will spend and by spending they will boost the market activities in those areas”. “There are what we call linkages, indirectly there are factories that are not directly exploring the oil but they will come there because of the oil exploration to benefit and do other activities, they will also employ workers. So, coming there with money means improvement in marketing activities in those areas. People will get income and then the level of poverty will reduce”. He further explained. The Dean who said the oil activities will bring series of benefits both economically and socially advised government to go in line with sustainable development. He explained that oil exploration or drilling of oil has its own negative effects such as destruction of farmlands occasioned by spillage. Abdulmajid said, “it will destroy farmlands but what we should look after is if government will sustain the activity that will go by sustainable development mission then we want the effect to be less than the benefits,then we say in summary that there is benefit but when the effect goes beyond the benefit then we will say is useless. Is like taxing people N100, 000 and paying the tax collector N150, 000, you have to look for money to complete for his salary. So, there is no benefit”. He maintained that, “but the benefit, we are sure there will be benefits when there is sustainable development mission. That is, exploration looking at its side effect, trying to protect the man and its health effect to the public, those aspects we call environmental economics or health economics”. He debunked the notion that Northern Nigeria have been a parasites, saying, “the problem is who is parasite? The only problem is Northern Nigeria has lost hope in their own area. There are many countries that depends on agriculture and they feed themselves, so even if we don’t have oil we are not parasites, is our leaders that made us to look like parasites”. “I cannot cultivate my land,sell and then give you the money, you can only go and find natural resources that belongs to the country and you steal the money. So, is our leaders that made us to be parasites, is not Northern Nigeria. If we say is all about oil, we are losing. So the discovery of Oil in Bauchi state if properly harnessed is an additional wealth to not only Northern Nigeria but the entire country, and I don’t believe that Northern Nigeria is Parasite because even before oil was discovered in Nigeria we were able to adequately feed ourselves”. 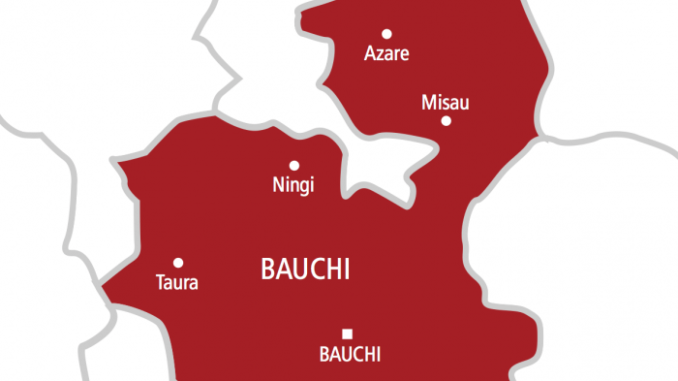 He cautioned the youths in Bauchi to desist from forming militant groups just like the youths in the Niger Delta and urged the authorities to consider the plight of the people of the area in the cause of the oil activities .